A few months ago, I posted the art bag that I made for my niece Clare’s birthday last year. Well, I also made a gift for my niece Nora’s first birthday. I came up with the idea after finding an adorable newsboy cap for sale on Etsy one day. I decided that rather than buy one, I could attempt to make it on my own. Though my mother taught me how to crochet years ago, all I have to show for it are several unfinished granny squares. I never had the motivation or attention span to stick with one project long enough. 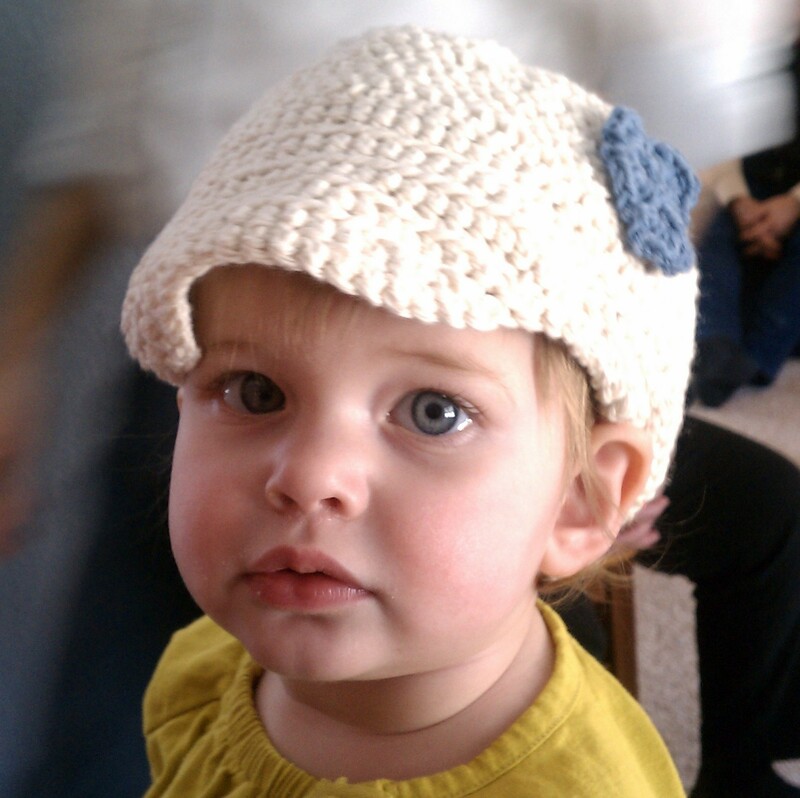 When I found the hat, though, I figured it was a small enough project that I would have no problem finishing it. It took me a while to find a free pattern online, but thanks to Google, I did manage to find a pattern at last. 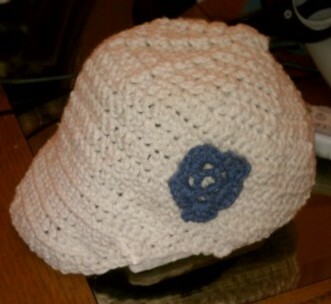 Once I started crocheting, it really only took me about 4-5 hours to complete the hat. While there are a few things I might try differently if I make another one, I am pretty pleased with how the final product turned out.